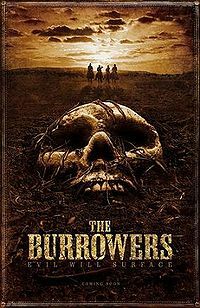 When a family of Dakota Territory pioneers is violently abducted and a posse is assembled (US Army team up with a group of cowboys) to venture into the badlands and rescue them, the frightening truth they discover in the hills leads them to believe man may not be the only hunter stalking the Old West. The year is 1879, and beyond the fringes of civilization a handful of courageous pioneers maintain settlements while exploring the unknown territories. One night, under the shimmering Western stars, a family from one of these settlements is brutally dragged into darkness by a group of unknown invaders. At first the kidnappers are thought to be hostile Native Americans, and a posse forms to bring the family back home safely. Venturing out into the unmapped territories is an Irish immigrant desperate to find his lost love, a naïve teen eager to prove his worth, a former slave seeking his fortune after gaining his freedom, and a hardened pair of battle-weary Indian fighters. They venture on looking for the lost family, yet all is not what it seems and they discover a female buried just below the soil - alive but in an apparent coma. Things become stranger when the group settle down for the night....there are strange noises beyong the burning fires. It seems that nature's wrath and the tomahawks of hostile tribes are not the only threats that this group will be forced to contend with, because as the bodies begin to multiply (mysteriously) and the truth about the abductors gradually emerges, these rescuers will find out that there are forces in this world that can't be described in human terms -- and that seem to have motivations beyond our comprehension. Will any of the humans survivie? and do we learn what happened to the family that mysteriously disappeared at the commencement of the movie?? ?